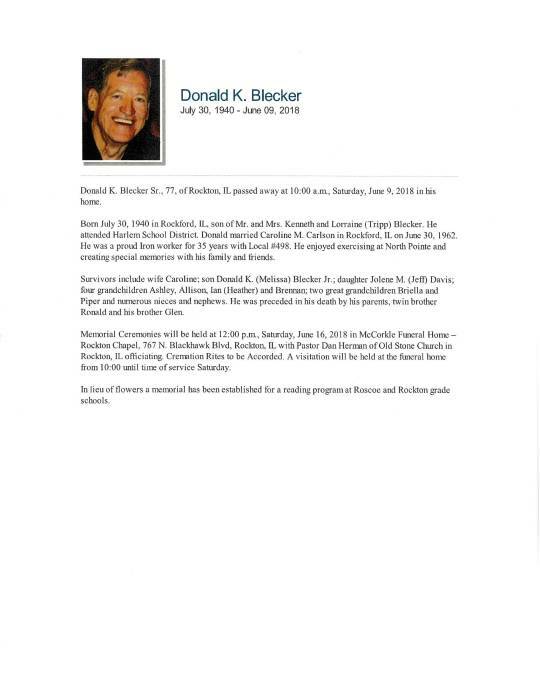 Brother Donald Blecker has passed away. He was a member of the death benefit program. ← James Golden has passed away.